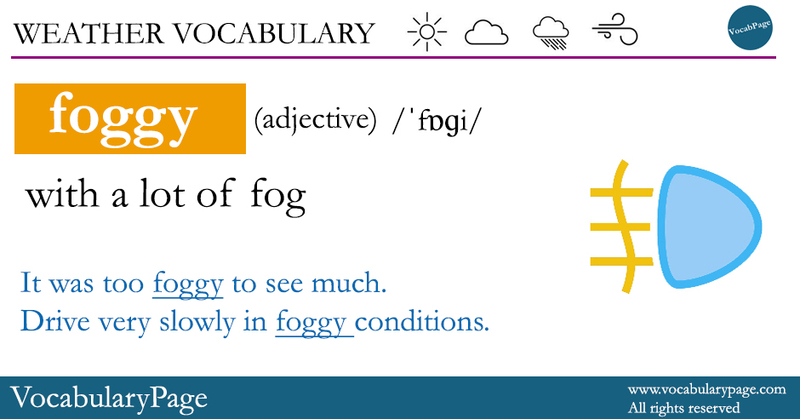 In this post, we're going to learn the adjective foggy. It was too foggy to see much. Drive very slowly in foggy conditions.